In the summer of 1778, General George Washington desperately needed to know where the British would strike next. To that end, he unleashed his secret weapon: an unlikely ring of spies in New York, Long Island, and Connecticut charged with discovering the enemy’s battle plans and military strategy. Washington’s small band included a young Quaker torn between political principle and family loyalty, a swashbuckling sailor addicted to the perils of espionage, a hard-drinking barkeep, a Yale-educated cavalryman and friend of the doomed Nathan Hale, and a peaceful, sickly farmer who begged Washington to let him retire but who always came through in the end. 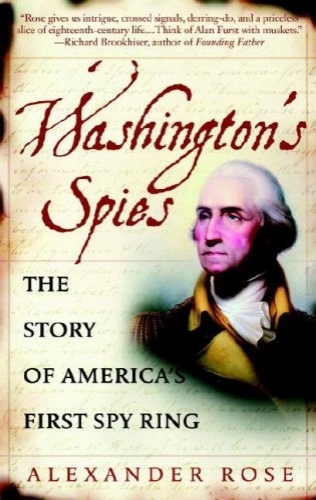 Personally guiding these brave, flawed, everyday heroes was Washington himself. In an era when gentlemen were officers, and gentlemen didn’t spy, he possessed an extraordinary talent for deception — and proved an adept spymaster. The men he mentored were dubbed the Culper Ring. The British secret service tried to hunt them down, but they escaped by the closest of shaves thanks to their ciphers, dead drops, and invisible ink. 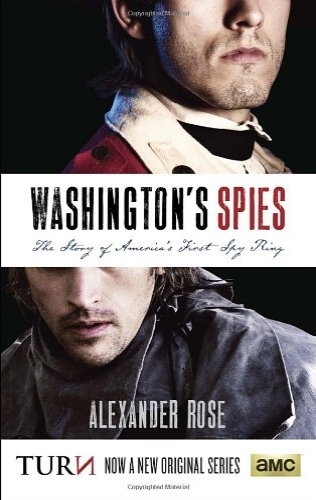 Washington’s Spies tells the unknown story of the Revolution — one encompassing the murderous intelligence war, the gunrunning, the kidnappings, and the defections — that has never appeared in the history books. But the book is also a spirited, touching account of friendship and trust, fear and betrayal, amid the dark and silent world of the spy.